Who says the art of letter-writing is dead? In this workshop, we'll write letters and illustrate the envelopes that will deliver them into the world. 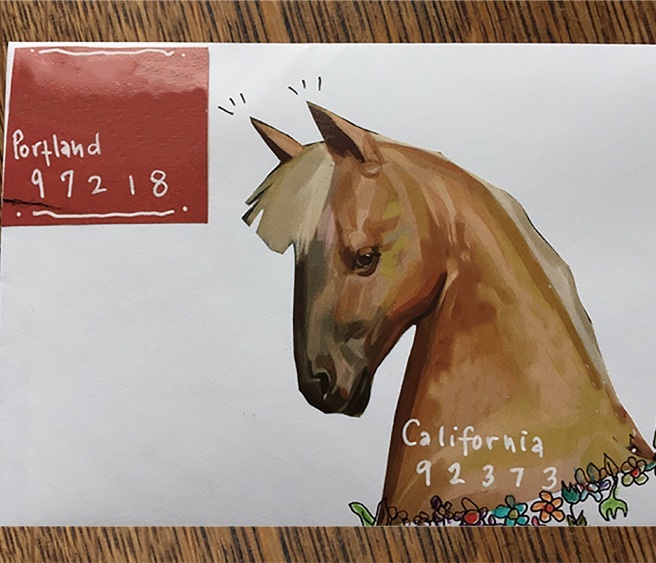 We will look at the history of mail art and take inspiration from powerful examples of the epistolary form, from the incendiary \"letters\" written by James Baldwin and Ta-Nehisi Coates to missives by Lydia Davis and Emily Dickinson. The natural beauty of Sitka offers the perfect setting in which to pen letters. Through writing, reading and discussion, we’ll explore the ways letter-writing can survive the digital age, strengthening our writing practices, sharpening our skills of observation and enriching our lives. Laura Moulton is the founder of Street Books, a bicycle-powered mobile library that serves people who live outside in Portland, Oregon. She has taught writing in public schools, prisons and teen shelters and is an adjunct professor at Lewis and Clark College. Her social practice art projects have included postal workers, immigrants, prisoners and students. Awards include an Excellence in Teaching award, an Innovations in Reading award from the National Book Foundation and a Pushcart nomination. She earned an MFA from Eastern Washington University.